And save it where you can find it if you ever need to re-install in the future. If you're on your phone, or a non-Windows computer, re-open this page on your Windows computer. Install the trial on your home computer and then once you are convinced of the value that these templates will bring to your work, enlist the support of a manager with sufficient political juice to persuade your IT Department to support you. First deactivate the old computer. Then enter the Administrator user name and password provided by your IT Department, and accept all the defaults to finish running the installation file. then determine if you should also install the Legacy Compatibility Installer for this user. or if your company owns an enterprise license for unlimited users. Tip: It's smart to save a text file containing your License Key, and save it in the same sub-folder alongside your installation file... so that you have both if or when you need to install on another computer. If the Systems2win menu isn't there, then see the FAQ for what might be wrong. If you get an activation error, then you need to activate. 1) Instantly, you might get a dialog that says: "Sync is not required" or "Sync is not currently supported." 2) In a few seconds or minutes, you might get a dialog that says: "Portal synchronization successful". How do I know if the Systems2win application has already been installed? if you see the Systems2win tab, then the Systems2win add-in has been installed. Systems2win has not been installed on this computer. What do I do? If your IT Dept has prevented you from downloading an exe file, then respect their desire to download and install for you. Just be sure they follow the special instructions for how to install on behalf of another user. How can I know which Version and Service Pack of Excel I am using? This is yet another way for Microsoft to "protect" (annoy?) their users, starting with Windows 8. Do not click the OK button. Instead, click the tiny 'More info' link, which will open a window where you can click 'Run Anyway'. Just click "This program installed correctly"
No password is needed for installation — unless your IT Department has added password restrictions to install any exe file. Then you need to have your IT Department install on behalf of another user. You need to have your IT Department install on behalf of another user. If Excel appears to be closed, then there is probably a background instance running. or Error: Could not initialize installation. The EXE installation file was only partially downloaded. Solution = download the file again. If that doesn't work, then the problem must have been a partial upload — so contact Systems2win to re-upload the file. Where is the Systems2win installation folder? You have the choice to install the Systems2win application in any folder that you choose. Where and how do we set up our portal — perhaps on a shared server? How do we install multiple users on a single computer? We have a lot of users. Is there anything we can do to make multiple installations faster and easier? Any tips for installing upgrades? What's the difference between an upgrade and an update? Each time that you renew Annual Maintenance or purchase an upgrade, you receive new installation files with the latest templates, containing all of the new features that have been added since the last time that you purchased or upgraded. At any time, you can download the latest update, to get bug fixes and improvements to the code for the Systems2win Excel add-in. As a free gift when you sign up for our newsletter, you get a dozen free trial templates, and another dozen free templates that you can use for the rest of your career. I own a license for some Systems2win templates. Can I download & use the latest trials? Owners of version 14 or lower must install on a PC that does not have v15 or higher installed, or upgrade, or contact us to request a new Activation Key. How to find & open your trial templates installed overtop of your licensed version. The 30-day initial trial period starts automatically (without the need for activation). Once the 30-day initial trial period has ended, you can request an activation key to Extend your Trial Period for another 30 days. I am an instructor. Is it possible to have an extended trial period for my students? Yes. If your school or consulting firm owns at least one seat for your instructor, then yes. I just installed a new trial, and the trial period has already expired. and then activate with your new License Key. How can we try the language translation features? The trial templates come with Spanish language translation, which you can play with to get the idea for how translations works for any other language. THEN before uninstalling, deactivate to free up your Activation Key to be available for installation on another computer. Solution: Excel > File tab > Options > Add-ins > click the Go button then when you click Systems2win and Systems2winXLL, it will give the dialog that these cannot be found, do you want to remove them from this menu. If you uninstalled without deactivating, then you might need to reinstall, then deactivate. or if your company owns a site license for unlimited users. If you have purchased your license, (you are not just extending your trial period), then your first step is to install your licensed version. The trial and licensed installers are different. If you have the trial version installed, it will successfully activate, but you will still have the trial version. You don't need to uninstall the trial. 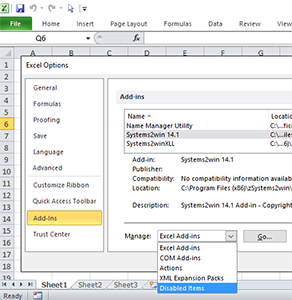 With Excel closed, simply install your licensed version, which will overwrite the trial. If you accidentally activated your trial version, you don't need to deactivate. With Excel closed, simply install your licensed version, which will already be activated when you test it. Your licensed Activation Key can be found in the email that delivered your installation files, and if you own more than 1 seat, it can also be found in your Systems2winInstallReadMe file. Then finish installation, and test to verify installation success. 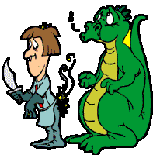 "Your license failed to activate"
2) your firewall is or proxy server is blocking you from activating the easy way. Even without IT support, you can still activate offline by following these instructions. The default Activation Key is for the initial trial version. You need to replace that Trial Activation Key with your own Activation Key, which might be for an extended trial, or might be your licensed activation key. 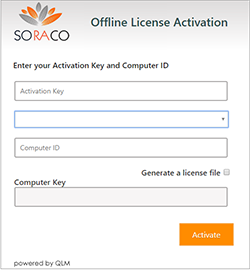 Your licensed Activation Key can be found in the email that delivered your installation files. If you followed the tip in that delivery email, then you saved your Activation Key in a text file alongside your saved installation file - in a folder where you can find it whenever you need to install on a new computer. And if you own more than 1 seat, it can also be found in your Systems2winInstallReadMe file. Paste your Activation Key into the Activation Key field. Paste the Computer Bound Key, then click the button to Activate. and then pick up where you left off with the standard instructions for installation and testing. There is now a new activation server, so it is no longer possible to activate v14 or lower. Contact Systems2win to get a new license key. or something similar to "license already used", "That License Number has already been used"
Possibility 1) You have used all of your available activations. Possibility 2) You are experiencing an issue with the copy protection software. How to get past our company's proxy server? If none of the above suggestions work, what else can we try? (so that everyone is always using the same version master templates). Solution 1) Your IT Department may have chosen a Portal Setup Choice that doesn't support Sync. Where can I find my Systems2win templates? You are attempting to open a licensed template with a version of Systems2win that does not support that template. Perhaps you never installed your licensed installation file? Possibility 1) You are trying to use a Systems2win template on a computer that does not have the Systems2win Application installed. Solution: Install the Systems2win Add-in on the computer you are using. Or use the Systems2win template on a computer that already has the Systems2win Add-in installed. Possibility 3) You are double-clicking a link from your portal (using an old browser). You are attempting to use a workbook created from a very old Systems2win template (v10 or lower), and this computer does not have the Legacy Compatibility Installer installed. Somehow... the XLL got disabled. but complex templates will have #NAME errors until you install the Legacy Compatibility Installer or migrate your data. Possibility 1) Calculations just need to be refreshed. Possibility 2) The Systems2win application is not installed. Solution: Install the Systems2win application (following the instructions at the top of this page). Possibility 5) You are using a legacy template, (version 10 or lower), and the Systems2win automation add-ins somehow became disabled. Solution: Manually enable the automation add-ins. There might be an illegal character in the document filename. The 'Template' sheet is intended to remain hidden. It is the sheet that gets copied when you click the button to 'Open a Blank Sheet'. If you unhide the 'Template' sheet, and rename it, you will get this error. Solution: Email us your workbook. We will retore it back to a usable state, but you will no longer be able to use the 'Open a Blank Sheet' button on that workbook. In Systems2win version 11 or lower, this message might have been falsely triggered by Microsoft's 'Protected View'. If you have used CTRL+F to search for the error code or other description of the problem, and you still can't find the solution, then that's why we offer free technical support. Your success is important to us, too.